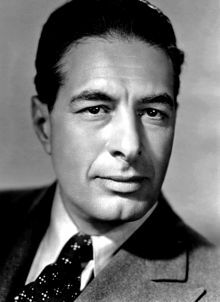 Irving Pichel (June 24, 1891 – July 13, 1954) was an American actor and film director, who won acclaim both as an actor and director in his Hollywood career. Pichel was born to a Jewish family in Pittsburgh. He attended Pittsburgh Central High School with George S. Kaufman. The two collaborated on a play, The Failure. Pichel graduated from Harvard University in 1914 and went immediately into the theater. Pichel's first work in musical theatre was as a technical director for the theater of the San Francisco Bohemian Club; he also helped with the annual summer pageant, held at the elite Bohemian Grove, in which up to 300 of its wealthy, influential members from finance and government participate. With this expertise, he was also hired by Wallace Rice as the main narrator in Rice's ambitious pageant play, Primavera, the Masque of Santa Barbara in 1920. He founded the Berkeley Playhouse in 1923 and served as its director until 1926. Pichel moved to Los Angeles where he studied acting at the Pasadena Playhouse. It was there that Pichel achieved considerable acclaim as the title character in the landmark Pasadena Playhouse production of Eugene O'Neill's play Lazarus Laughed in 1927. Two years later, when the studios were hiring any theater-trained actors suitable for talkies, he was signed to a contract with Paramount. Pichel worked steadily as a character actor throughout the 1930s, including the early version of the Theodore Dreiser novel, An American Tragedy (1931), Madame Butterfly (1932), in a low budget version of Oliver Twist (1933) as Fagin, in Cleopatra (1934), alongside Leslie Howard in Michael Curtiz's British Agent (1934), as the servant Sandor in Dracula’s Daughter (1936), in the Bette Davis film Jezebel (1938), as the proprietor of a seedy roadhouse in the once scandalous The Story of Temple Drake (1933) and as a Mexican general in Juarez (1939). Pichel also performed on radio, played small parts in several of the films that he later directed, often without credit, and was the narrator in the John Ford films How Green Was My Valley (1941) and the Western, She Wore a Yellow Ribbon (1949). Pichel was a friend of the screenwriter George S. Kaufman and joined the circle of those witty and iconoclastic friends who had abandoned the Algonquin Round Table in New York to make small fortunes in the talkies. Pichel was soon drawn to directing and his character acting dropped off after 1939. He co-directed several B-movies until he signed with 20th Century Fox in 1939 and began directing their established stars. Much of his directing work was in anti-Nazi and pro-British-themed films in the years before the United States entered the war; this perhaps led to his problems with the House Un-American Activities Committee (HUAC) and subsequent blacklisting in the industry. The Man I Married (1940), for example, starring Joan Bennett, Francis Lederer, and Otto Kruger, centers on an American wife slowly discovering her German husband is a Nazi, and incorporated 1938 newsreel footage of the rise of Nazism. Hudson’s Bay (1941) was a highly pro-British, much-fictionalized historical adventure of the British founding of Canada with Paul Muni and Gene Tierney. The Pied Piper (1942) recounts the story of an aged Englishman trying to get five children out of Nazi-occupied France. Monty Woolley played the lead role, and Otto Preminger, himself a refugee from occupied Austria, plays a Nazi commandant. The film, with a Nunnally Johnson screenplay, was highly praised and also nominated for an Oscar for Best Picture and for best black-and-white cinematography by Edward Crongjager. "For the most part," wrote Bosley Crowther in The New York Times, "Irving Pichel, the director, has muted the frightfulness of war and shown it through suggestion instead of displaying it realistically in all its horror...Few films have come out of this war that are as bright, touching and suspensive as The Pied Piper." The Moon Is Down (1943) was an adaptation of John Steinbeck’s novel. The book was based on the Nazi invasion of neutral Norway in 1940, published in March, 1942 and subsequently translated into French and distributed in Europe as an inspiration for local resistance to Nazi occupation. In both film and novel, a small Norwegian village gradually discovers how to organize resistance to Nazi invaders; the film stars Sir Cedric Hardwicke and Henry Travers and also marked Natalie Wood’s debut as a child actress (though she was uncredited), whom Pichel had discovered. With a screenplay by future blacklisted writer, Nunnally Johnson, this was named as one of the top ten films of the year by the National Board of Review. It played in Sweden in November of 1944. Pichel also directed Alan Ladd in O.S.S. (1944), written and produced by the later James Bond screenwriter, Richard Maibaum, and featuring an introduction by Office of Strategic Services (O.S.S.) founder, Wild Bill Donovan. The film showed Ladd finding love in occupied France under the auspices of the nascent O.S.S., which was the precursor to the Central Intelligence Agency. Bosley Crowther of The New York Times termed it "tense, tightly written and swiftly paced," and credited the film as the very first on the O.S.S. Several more war-themed films followed, including the sentimental A Medal for Benny (1945)) which led to J. Carrol Naish gaining a Best Supporting Actor nomination. "Tomorrow Is Forever," (1946) starred Orson Welles as an American soldier who is presumed killed in WW1 only to return to America and Claudette Colbert as his wife who remarries; Natalie Wood, in her first credited role, plays an Austrian child with a German accent. Mr. Peabody and the Mermaid (1948), another film from a Nunnally Johnson script in which a married man, played by William Powell, accidentally catches a mermaid on his fishing line. Made about the same time was The Miracle of the Bells (also 1948), a big budget film which failed at the box office about an impoverished coal town with Frank Sinatra miscast as a priest. "St. Michael ought to sue", wrote the reviewer in Time magazine. Despite his patriotic war oeuvre—or perhaps because of it—Pichel soon came under scrutiny by the House Committee on Un-American Activities, cofounded and steered by Mississippi Congressman John E. Rankin who routinely and specifically attacked Jews in the Congressional Record and had bitterly resisted America entering World War II. Like many of those who came under HUAC investigation by the late 1940s, Pichel moved into film noir, in They Won't Believe Me (1947). Here, Pichel had the benefit of longtime Hitchcock collaborator and screenwriter, Joan Harrison, as his producer, who would go on to produce the television series Alfred Hitchcock Presents. Susan Hayward, Jane Greer, and Robert Young starred, with the added skills of cinematographer Harry J. Wild, who worked on such key film noirs as Murder My Sweet (1944) and Johnny Angel (1945). The low-budget, black-and-white Quicksand (1950) featured one of Mickey Rooney's finest performances as a desperate good kid going bad, and emigre Peter Lorre as an unforgiving arcade operator. Rooney and Peter Lorre put their own money together to finance it, and thus gave Pichel, the blacklist already looming over him, one of his last Hollywood films. Striking out in another nascent genre, Pichel pioneered scientific authenticity in an early Technicolor science fiction film Destination Moon (1950), produced by George Pal. It won the Oscar for Special Visual Effects, for effects director, Lee Zavitz. The film was also nominated for the Academy Award for Best Art Direction, for Ernst Fegte and George Sawley. At the 1st Berlin International Film Festival it won the Bronze Berlin Bear Award, for "Thrillers and Adventure Films." Pichel chose as collaborators Robert A. Heinlein, who did uncredited work on the script, and astronomical illustrator Chesley Bonestell, who contributed the painted lunar backdrops. Pichel's last Hollywood film was for Randolph Scott in an unexceptional, though profitable, Columbia western, Santa Fe (1951), but his Hollywood career ground to a halt in the face of the blacklist. His last films as a director were independent European productions: Martin Luther (1953), funded by the Lutheran Church, in one of its rare forays into film production, and Day of Triumph (1954), about the life of Christ. Shot on location in Wiesbaden, Germany, Martin Luther was nominated for Oscars for both its black-and-white cinematography by Joseph C. Brun, and its art direction and set design recreating the early 1500s by Fritz Maurischat and Paul Markwitz. It was named as fourth in the top ten films of the year by the National Board of Review. Pichel, a lifelong Christian Socialist, died one week after Day of Triumph was completed and before the premiere. In 1947, Pichel was one of 19 members of the Hollywood community who were subpoenaed by the House Un-American Activities Committee during the United States' second Red Scare. This group became known as the "Hollywood Nineteen" and the "Unfriendly Nineteen" because they refused to name suspected Communist agents to the Committee. Though it is not clear that Pichel had ever been a Communist, the committee assumed he had communist sympathies because he had directed the anti-Nazi film, The Man I Married (1940), and investigated him as a case of "premature antifascism." Pichel was cleared, but soon after developed a chronic heart condition which was treated until his death in 1954. While Pichel was ultimately not called to testify, he was blacklisted, forcing him eventually to leave the United States in order to direct his final pictures. Pichel's friend Joseph C. Youngerman, a prop handler and assistant director in Hollywood, later confirmed that Pichel was in fact a member of the Communist Party. Irving Pichel married Violette Wilson, daughter of Jackson Stitt Wilson, a Methodist minister and Socialist mayor of Berkeley, California. Her sister was actress Viola Barry. Irving and Violette had three sons: Julian Irving Pichel, Marlowe Agnew Pichel, and Pichel Wilson Pichel. The film was also nominated for AFI's Top 10 Science Fiction Films list. Martin Luther was given a special 50th anniversary re-release on DVD by Gateway Films, including a book that is a biography of the film itself. ^ Cones, John. Motion Picture Biographies: The Hollywood Spin on Historical Figures. p. 13. ISBN 9781628941166. ^ Luarence Maslon. George S. Kaufman, ed. Kaufman and Co.: Broadway Comedies. ISBN 1-931082-67-7. ^ "Berkeley Daily Planet". October 22, 1929. Retrieved 28 September 2015. ^ "The Pied Piper". The New York Times. August 13, 1942. Retrieved April 4, 2017. ^ "'O.S.S.,' War Spy Thriller, With Alan Ladd, Miss Fitzgerald in Leading Roles, Makes Its Appearance at the Gotham". The New York Times. May 27, 1946. Retrieved April 4, 2017. ^ Movie review and production notes for Miracle of the Bells (1948). The Pirate Bay. Retrieved April 4, 2017. ^ Hollywood Independent Citizens Committee of the Arts, Sciences, and Professions (HICCASP) pamphlet, Introducing ... Representative John Elliot Rankin, June 1945. Adrian Scott Papers, American Heritage Center, University of Wyoming-Laramie. Retrieved April 4, 2017. ^ "Destination-Moon – Cast, Crew, Director and Awards". The New York Times. ^ Spudis, Paul D. "Chesley Bonestell and the Landscape of the Moon." Airspacemag.com. June 14, 2012. Retrieved: January 12, 2015. ^ "Irving Pichel," NNDB. Retrieved April 4, 2017. Buhle, Paul and Dave Wagner (2002). A Very Dangerous Citizen: Abraham Lincoln Polonsky and the Hollywood Left. University of California Press. ISBN 0-520-23672-6. McBride, Joseph (2003). Searching for John Ford: A Life. Macmillan. ISBN 0-312-31011-0. Pells, Richard H. (1989). The Liberal Mind in a Conservative Age: American Intellectuals in the 1940s and 1950s. Wesleyan University Press. ISBN 0-8195-6225-4. Wikimedia Commons has media related to Irving Pichel.